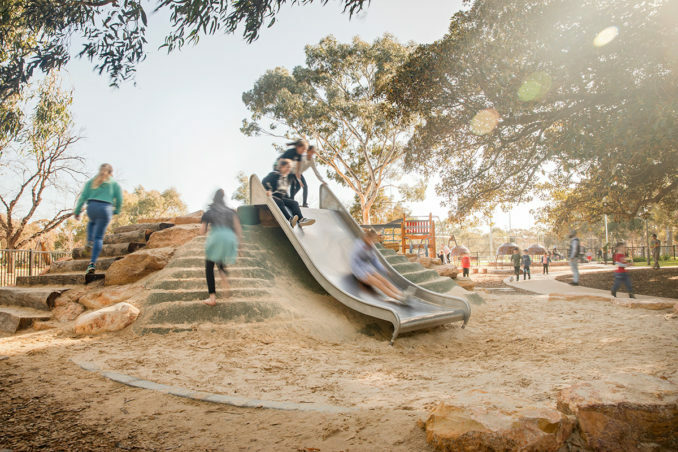 Pelzer Park, Pityarilla (Park 19), located in the southern Park Lands of Adelaide, is home to the popular Marshmallow Playground (named after the Holly Hock plant not the confectionery) and is at the junction of the Park Lands Trail and the increasingly utilised & important Frome and Porter Street Bikeways. In parallel with creek rehabilitation works, ASPECT Studios led a team to develop a concept master plan and detailed documentation. 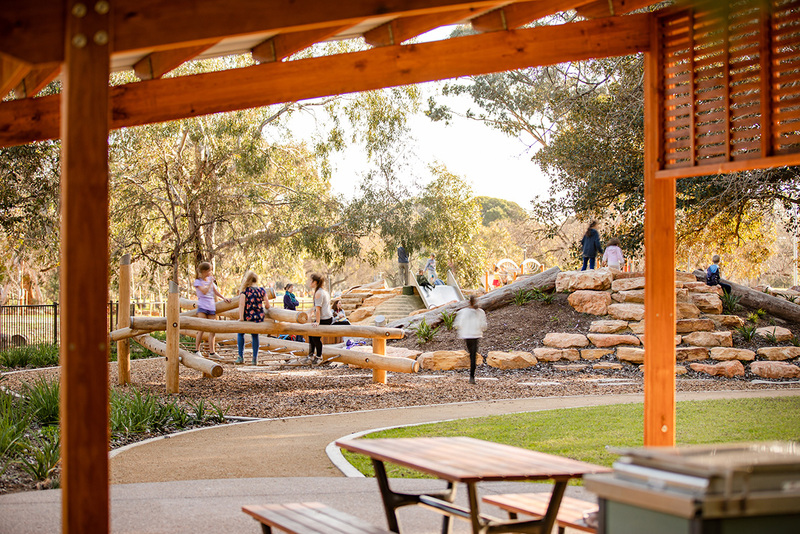 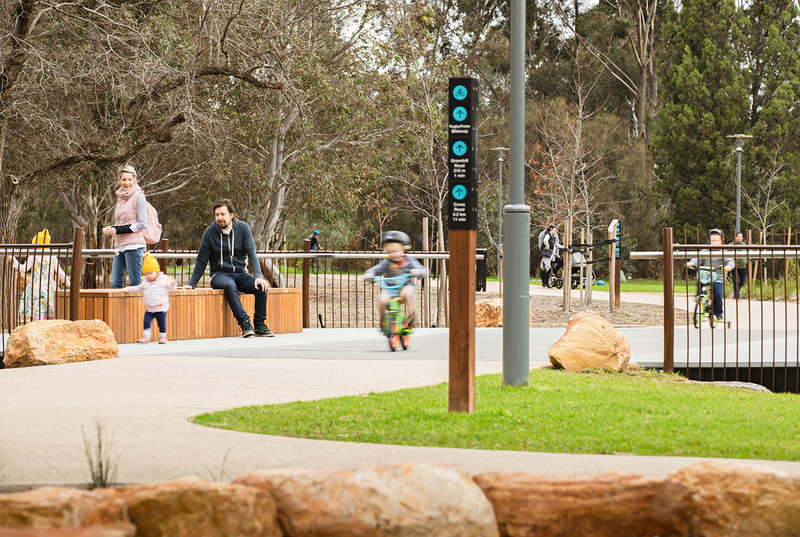 The rejuvenation works include an upgraded nature playspace, new promenade and plaza space fitting for markets & events, ablution block, upgraded active recreation courts, a dog park, and enhanced ‘formal’ park amenities. 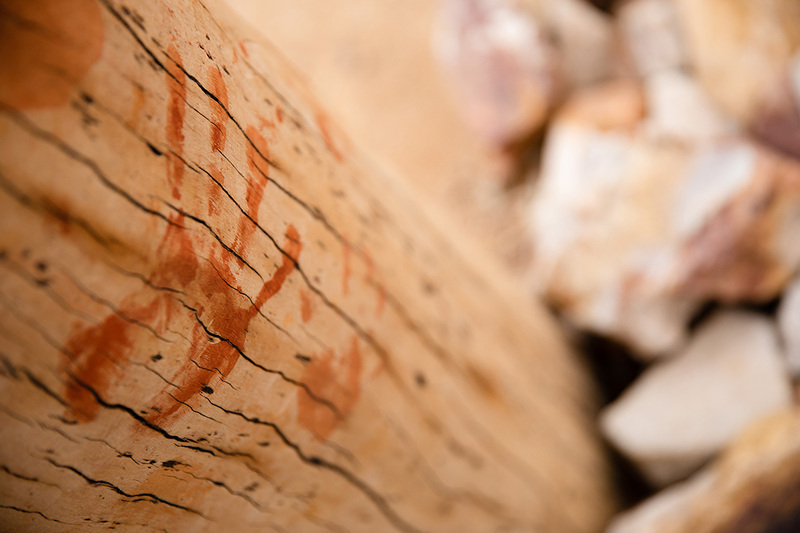 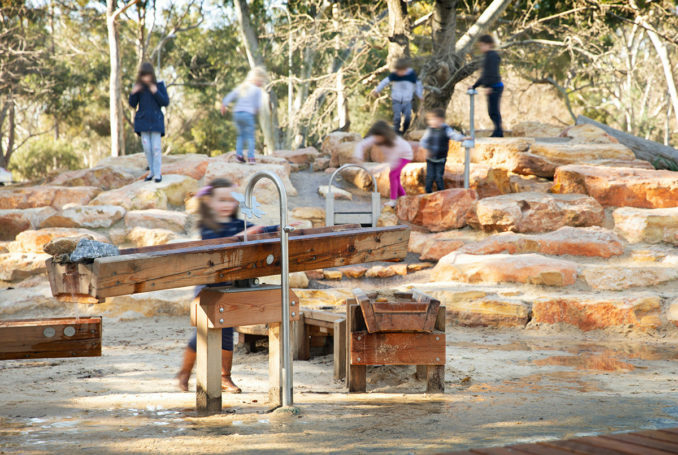 The enhancements also provide for a ‘cultural stage’, and ‘wild play’ roaming areas. 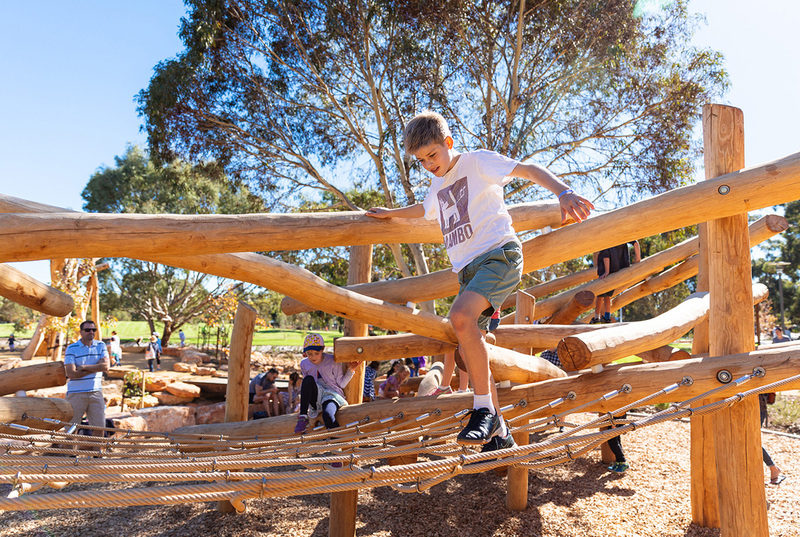 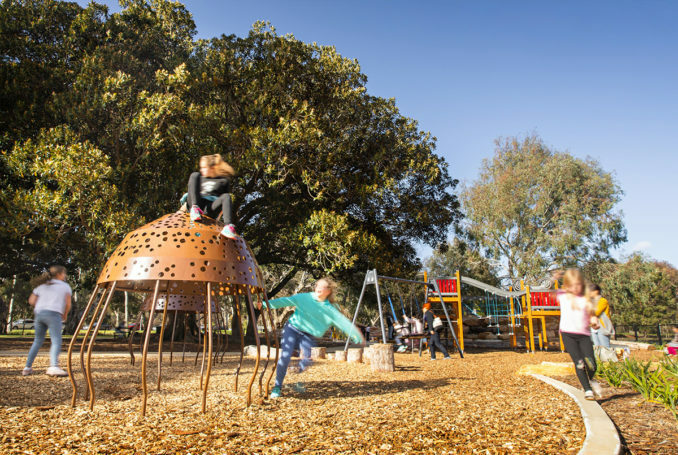 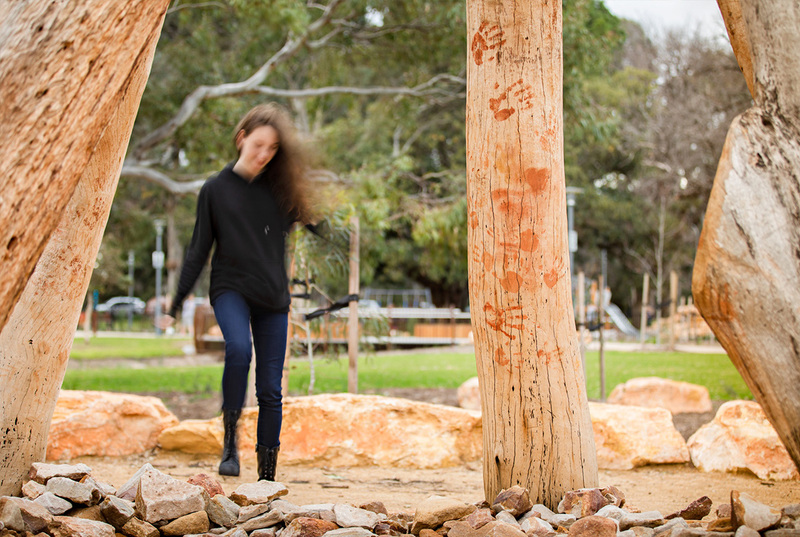 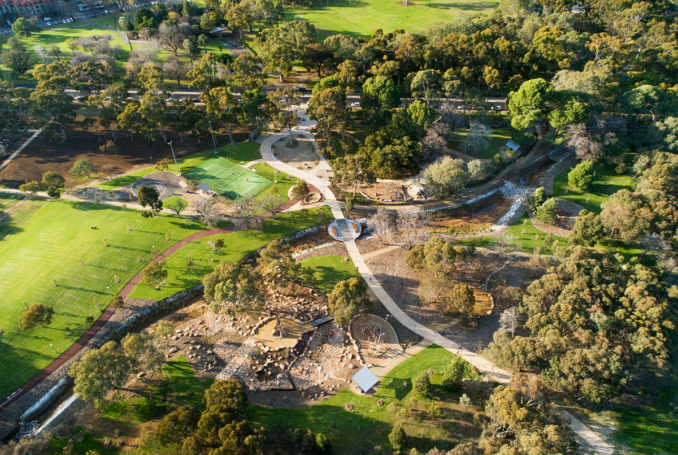 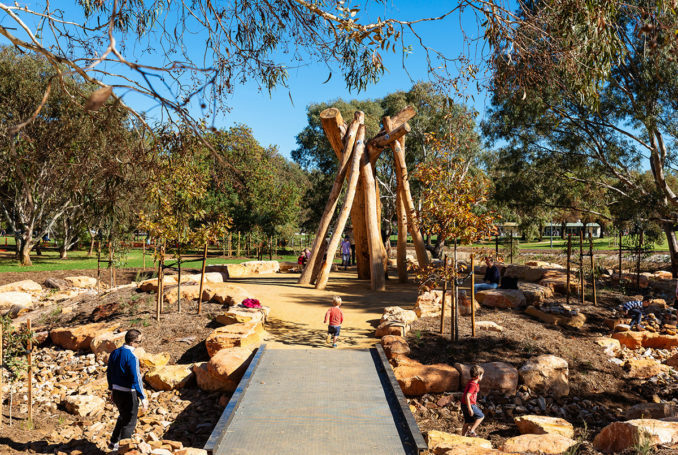 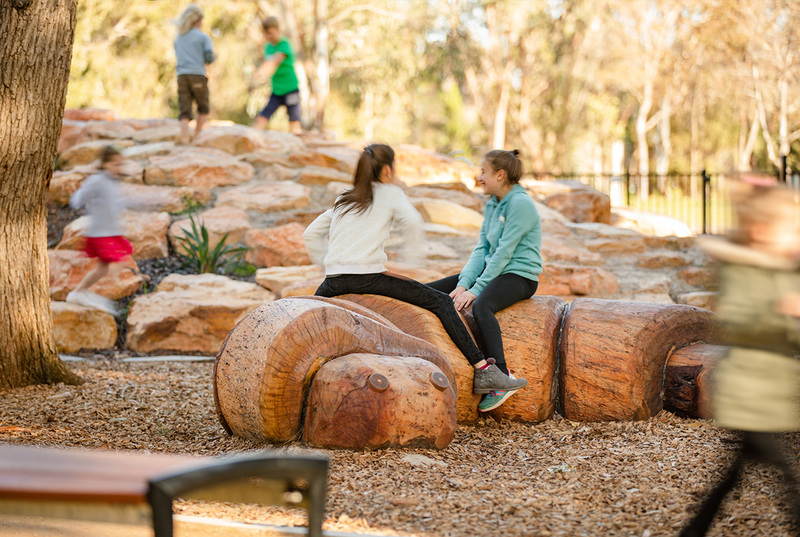 The design is a result of community, school and Kaurna group consultations, and weaves a narrative inspired equally by nature’s ecological systems and traditional Kaurna knowledge. 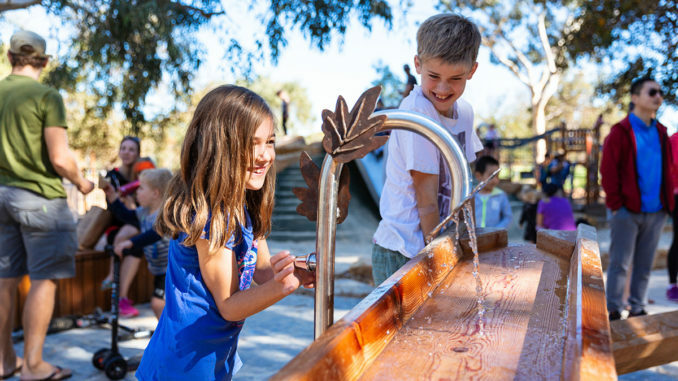 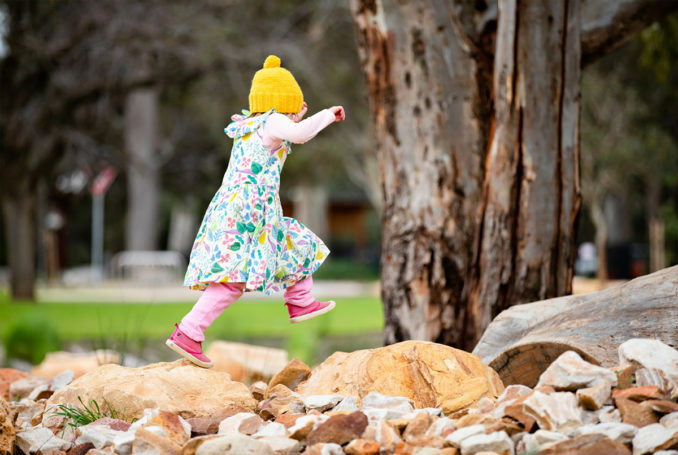 The Park has a focus on learning through play, celebrating diversity and interaction with others.